2 Bedroom Detached Bungalow For Sale in Sheffield for Asking Price £150,000. Bramley Park is an exciting new over 50's development. Which is based within a gated cul-de-sac and situates 6 Park Homes in the semi rural village of Marsh Lane. This location offers all the charms of 'country lifestyle' with far reaching views from all 6 homes whilst also retaining all the home comforts and local amenities in nearby Eckington. This plot comes with the advantage of designing your own Park home internally and externally. Internally they offer a superb level of finish and boast partial furnishing throughout. Fully fitted contemporary kitchen, bathroom and feature walk-thru wardrobes to the main bedroom. There is also a spacious separate lounge and dining area which creates a superb entertaining area. Marsh Lane is a hugely popular semi rural village just outside of Eckington which is steeped in local history, conservation areas and offers a host of superb local amenities, schools and a local supermarket. The area boasts a public swimming baths and superb local restaurants and gastro style eateries in the surrounding areas. Ideally situated for links to the M1 motorway networks, Sheffield city centre and nearby Crystal Peaks shopping centre. Renishaw Hall and local surrounding countryside and walks on the Pennine trail provide plenty of choice. 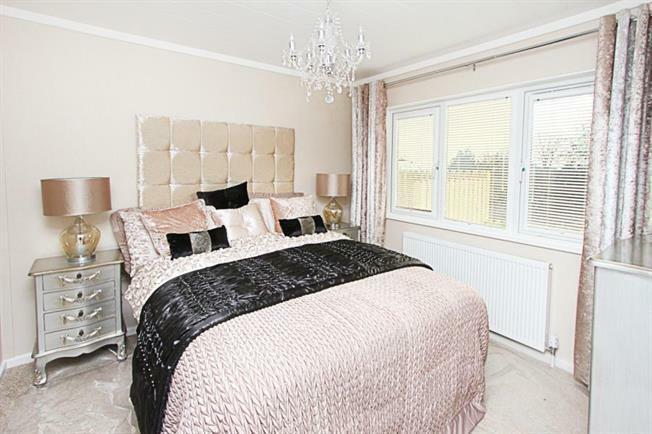 The area is popular with buyers of all ages and has excellent bus and transport links. To avoid missing out on this last plot please call Blundells Estate Agency for further information or to arrange a viewing. External & internal photos of the development, appearance/build/style on other plots may be subject to variation upon completion of the project. The company reserves the right to make amendments to the development layout and materials at any time. Furniture and soft furnishings are not included. Home specification can vary and images shown may include upgraded features. All computer generated images have been prepared for illustrative purposes and are indicative only, they do not form any part of any contract, or constitute a representation or warranty.